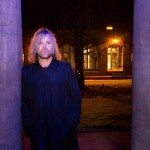 Background/Info: Until Ben is a French producer who has compiled 8 songs on one album. It has been introduced as an EP, but I think it’s more appropriated to speak about an album –at least a mini-album. Content: Some artists are hard to define when it comes to analyze their sound. 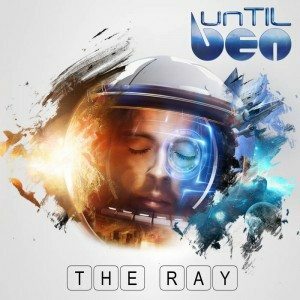 Until Ben is a real special sound experience, which sounds a bit like mainly inspired by pop standards, but reworked with a kind of electronic-jazz style and other psychedelic passages. It definitely sounds minimal and experimental. The vocals, but also some parts of the album remind me of Marc Almond. The vocals are rather clear-like, sometimes a bit half-spoken. The music makes me think to an imaginary soundtrack for an astral subject. There indeed is a real strong ‘space’-touch running through the work, which is only accentuated by the ‘psychedelic’ dimension of some passages. 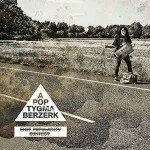 + + + : One thing is for sure, Until Ben is a rather unique experience in this genre, but the main question is to know what kind of music it’s all about. That’s for sure what makes the originality of this artist. I experienced it as the offspring between pop and jazz music composed with mainly electronics. I think it might appeal for the fans of Marc Almond. – – – : As the music is quite minimal and experimental-like it also is not the most accessible sound. I can’t say it’s bad, but it’s not setting the world on fire. I’m maybe missing some more explicit pop elements to make it all more easier to listen to. Conclusion: “The Ray” is an original experiment in sound, but not exactly the kind of sound getting me wild. The mix of jazz, pop and a kind of psychedelic influence is not the most efficient sound I’ve ever heard. Best songs: “The Choice”, “Landing”.